grass stains: The new dishwasher. And how I load it. 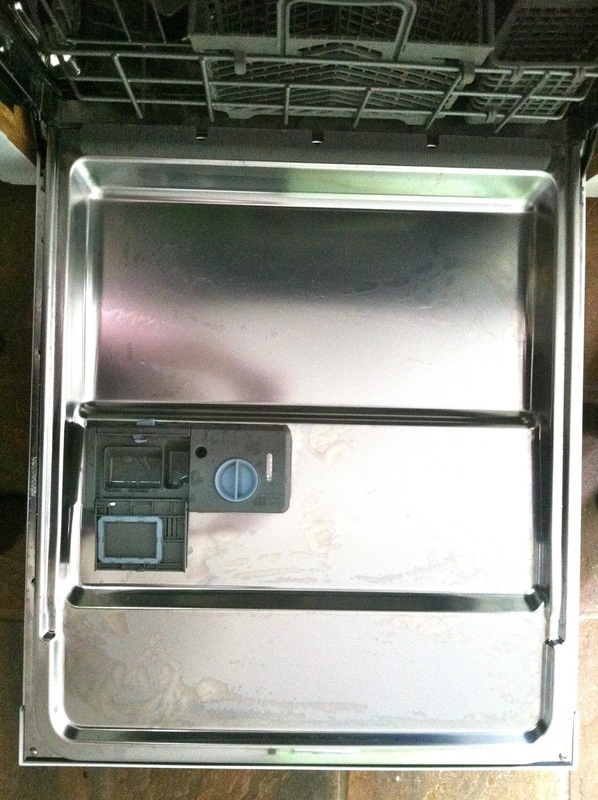 The new dishwasher. And how I load it. 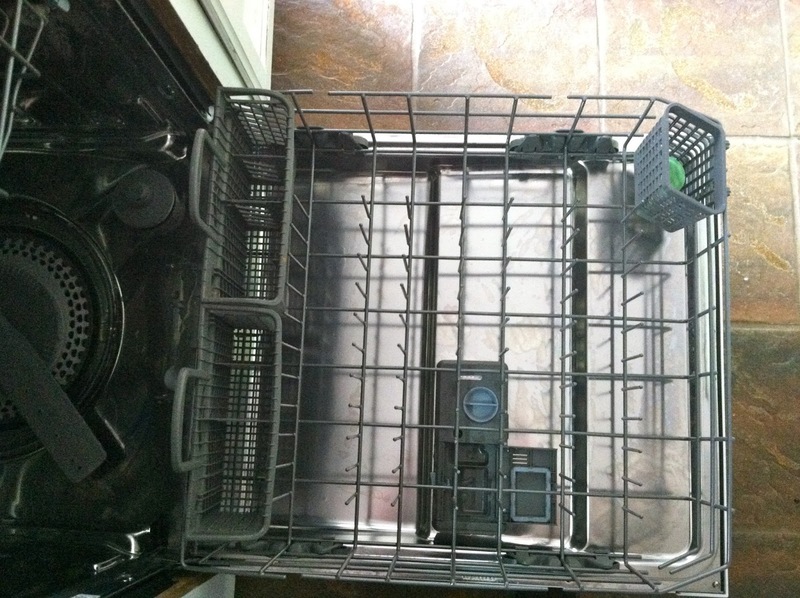 Right after I bought the new dishwasher, you guys hilariously -- and predictably -- asked, "When do we get a new post on how to load THIS dishwasher?!" Anyway. 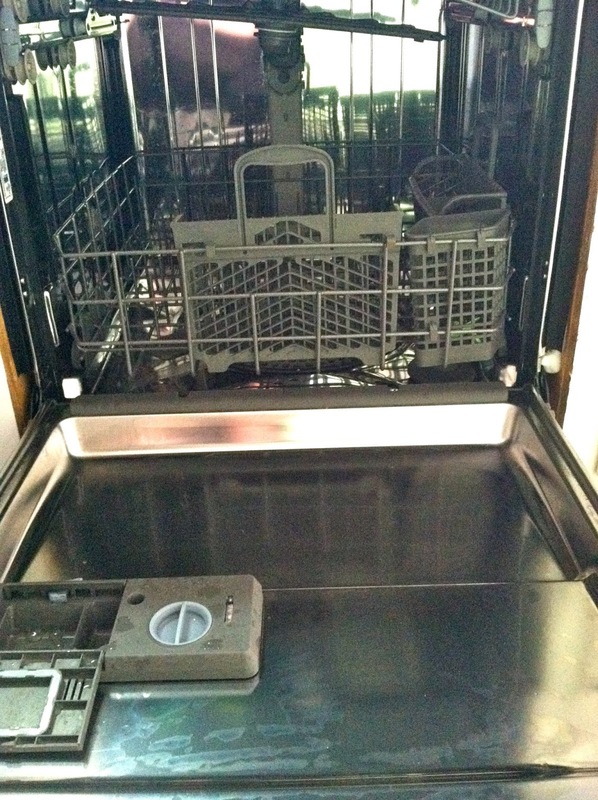 It's taken a while to get used to the new dishwasher, and I don't even know that I've got it right yet, but since some people have asked about this more than once (YOU ARE TRULY MY PEOPLE), I figured I'd best not keep you waiting any longer. I wanted stainless-steel interior, because it's supposed to be much safer for your family than plastic, from a bacterial standpoint. I also wanted a deep-barrel model so that I'd have a better chance of being able to fit my cookie sheets and big mixing bowls in there. This dishwasher offered both options. One thing I DIDN'T care about that gives me serious heartburn is that you can reconfigure your silverware baskets anytime you'd like. I don't want an option. I just really want it to fit in one place. But these things can move around, willy-nilly, whenever you choose. HEART. BURN. Internet. They can all go to one side. The two long ones can shift to the back. Or they can form an L-shape at the front. This is the configuration I choose. And do I even need to TELL you that I don't move them around? They stay Right There unless we're unloading silverware. 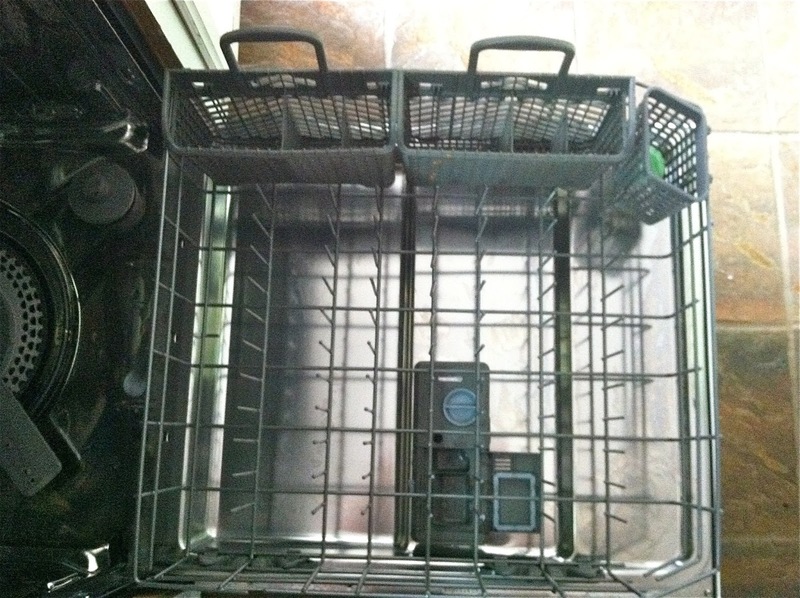 I don't need the stress that comes along with movable silverware baskets. Holy cow. 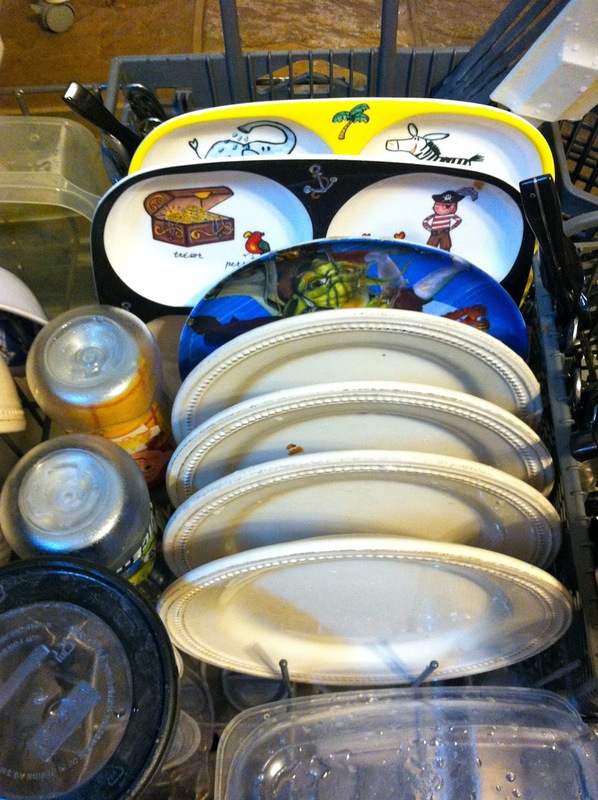 The one thing I've noticed about not having a centered silverware basket is that I now load all the dishes facing me. 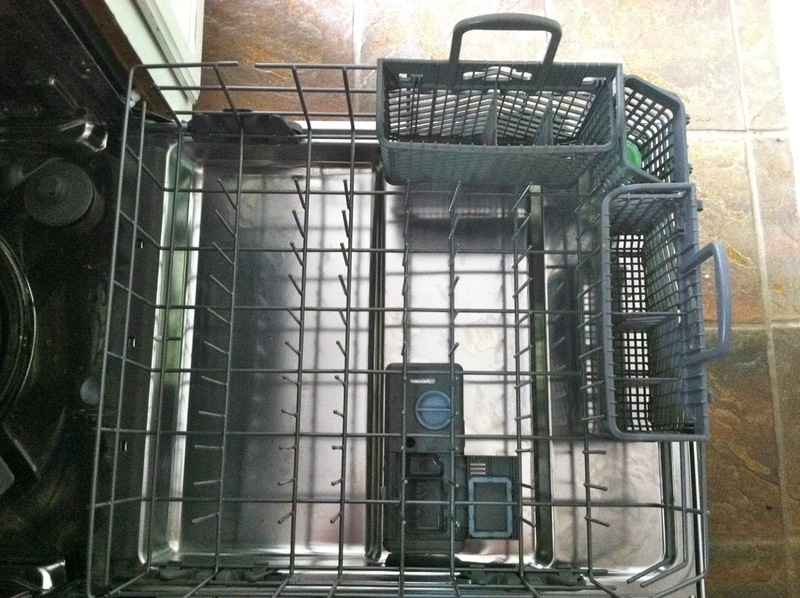 When I had a basket in the center, I loaded the dishes from the outside edges, in. Now they all face one direction. That wasn't a conscious decision ... it just happened. With no physical center divider, there was nothing to turn me in the other direction once I got to the middle while I was loading. Do I overthink things? With this setup, I sometimes also have room for cup overflow, if you will. 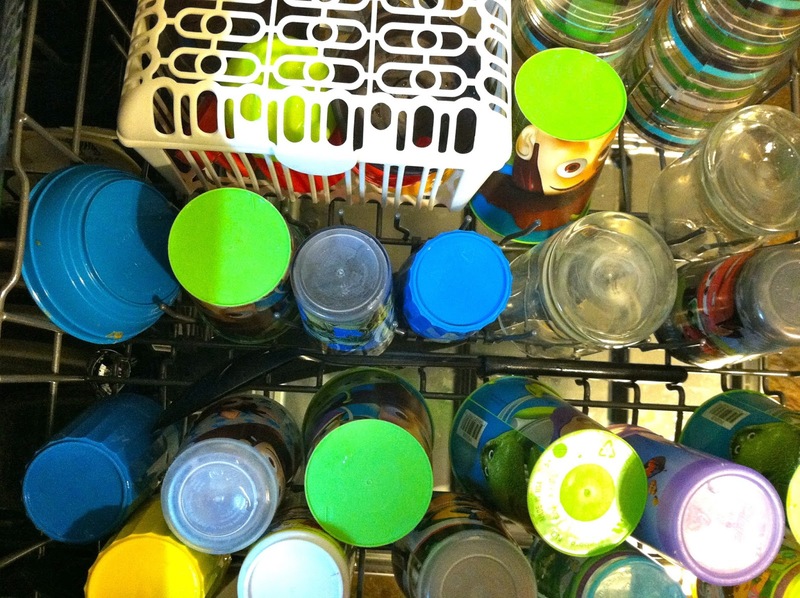 If there are a few cups that won't fit on the top shelf, they'll usually nestle right between the cereal bowls and plates. 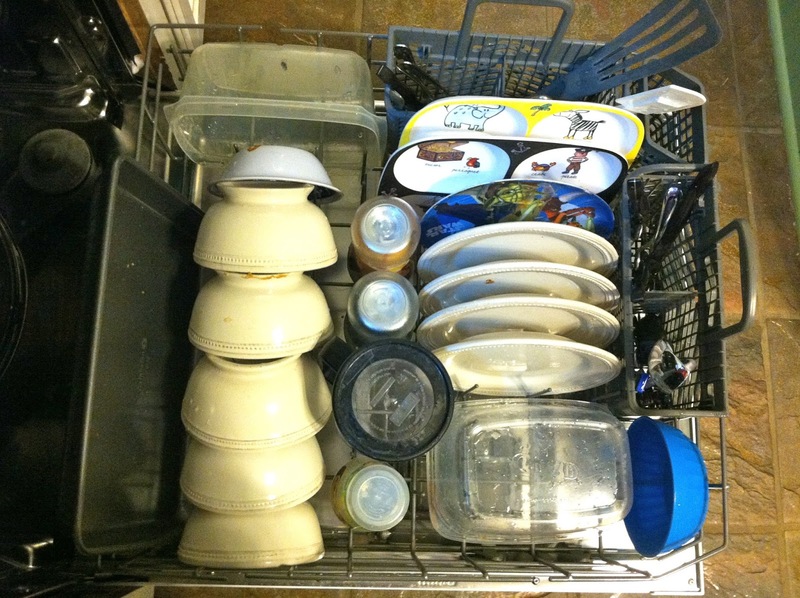 I can fit more cups on top of the new dishwasher, and if I take some of the cups out, I can fit more bowls in -- and in an orderly fashion. 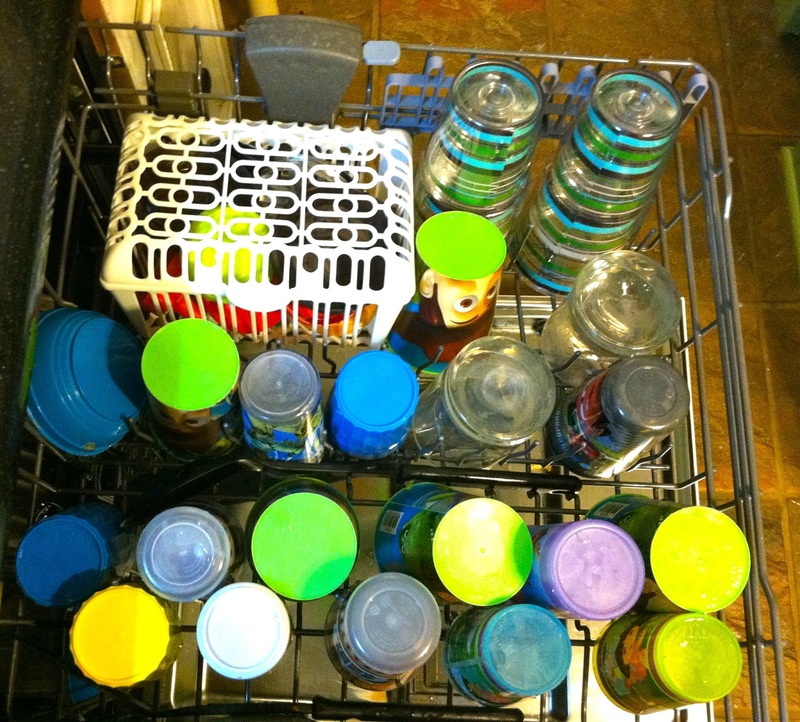 But I wanted to show you how many cups fit up there, because I'm pretty darn impressed. At any rate, last time I wrote about this, you guys almost gave me a seizure when you Tweeted me pictures of your dishwasher-loading techniques. I honestly had no idea there was so much debauchery going on out there in this area. Internet, you're out there mixing cups and plates, serving utensils and soup spoons ... your top and bottom racks are basically indistinguishable from one another. I don't know what to do with this information. I will tell you this: If you Tweet me or email me pictures of it, this time I will share them with the Internet in a future post. Because apparently you all are of one mind. And I am of another. I am a Support Group of One. And then there are the rest of you. So send them on! Let me share them with your fellow willy-nilly dishwasher-loading Grass Stains readers. I just put my helmet on. I'm ready.